This resort is located in North Myrtle Beach and has four fantastic courses on site: The Love, Fazio, Norman, and Dye. 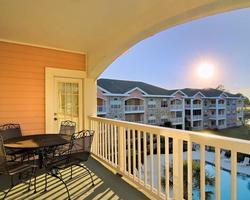 There are Villas overlooking the courses and Towers overlooking the Intercoastal Waterway. 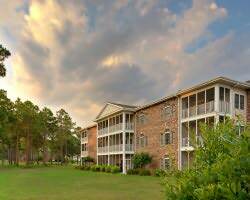 The lodging varies from 1-4 bedrooms and are all designed to accommodate golfers. This area has a great nightlife, including the House of Blues if you want to catch a great concert! 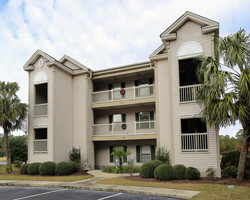 Legends Resort is located in Central Myrtle Beach, and is close to everything. They have 3 great courses on site: Heathland, Parkland, and Moorland. The resort has a Scottish theme with 1-3 bedroom villas. They have 2 great courses on site: Pinehills & Palmetto. There are nicely appointed 1-3 bedroom villas close to Broadway @ The Beach. Pinelakes’ “The Grandaddy” is the oldest course down here, and is just accross the street. Sea Trail has 3 great courses on site: The Jones, The Byrd, and The Maples. 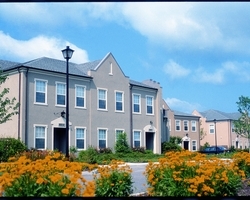 The resort has 1-4 bedroom villas. 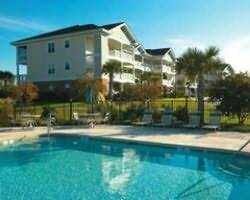 It is located in the quaint town of Sunset Beach, NC which is only 30 minutes from North Myrtle Beach. This resort is located at True Blue golf course. Caledonia (my favorite) and Heritage golf courses are right across from the resort in Pawleys Island. This is a quieter side of town, but it’s close to Murrels Inlet which is the seafood capitol. There are a lot of great restaurants and bars on the waterfront. I want to start off with WOW! This is truly my # 1 Favorite Eatery. The atmosphere, the food, and the view are outstanding; 4 star all the way! This restaruant is real Italian all the way. Even the pasta noodles are homemade. I have had the best Italian food here, and being from New York, I guess you could say that I am a snob when it comes to Italian food. Save room for the Cannolis, they are yummy! This Cafe has a very artsy atmosphere. It is decorated with paintings from local artists which are also for sale. The food and service are excellent. It is a true dining experience. If you love steak, this is the place for you. A nice atmosphere, an extensive wine list, and great service make this restaurant excellent. Hint: try the Coffee Ground Encrusted Filet; it will knock your socks off!! Ok, so far I have basically talked about fine dining. Well, if your in the mood for a burger and a beer, then this is the spot. Hamburger Joes is a favorite for golfers to kick back and enjoy. They have the best burgers on the Beach, and $1.00 drafts all day long. Dollar Bills cover the walls with patrons notes on them; mine is right by the front door. Say hi to Alan the manager, and tell him Linda sent you.